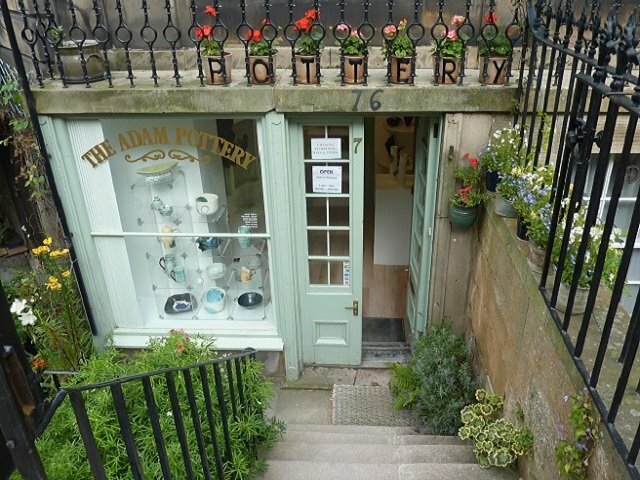 The Adam Pottery, established by Janet Adam in 1983, is primarily a studio pottery providing workspace for herself and five other potters/ceramicists. The first impression given is of a gallery displaying a fascinating variety of work covering a wide range of ceramic practices and concepts,all made on the premises. The individuality of each maker is reflected in their different approaches to working with clay. However a further attraction for visitors is to look around our adjoining studios where you can watch work in progress, make enquiries on how to learn more about pottery or discuss commissioning a special piece. Or just enjoy talking about a shared interest in the many facets of pots and pottery. While we operate completely independently we share various aspects of day-to-day running of the pottery and hold three special events during the year, the highlight being our Fringe Exhibition, plus Open Weekends in December and April. We look forward to seeing you here, whatever your interest in ceramics may be.